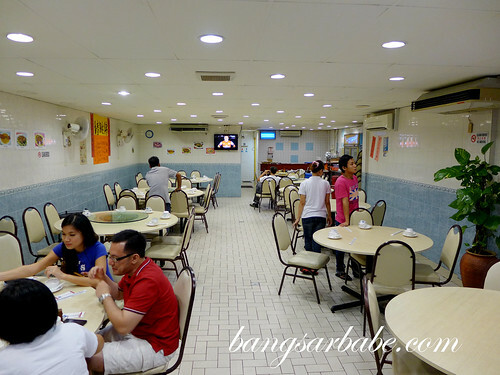 rif and I recently indulged in halal Chinese food with a group of friends at Bei Ping Restaurant in Shah Alam – none of us were Muslim but we decided to skip the pork that night. 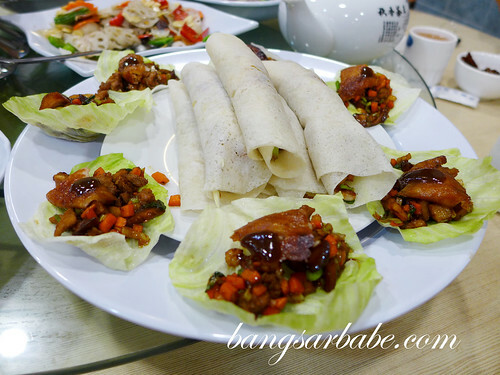 The restaurant serves Beijing cuisine and one of the must-order dishes is Beijing (Bei Ping) Duck, prepared two ways: wrapped in Mandarin pancake and the other, on lettuce. I didn’t care much for the former because the pancake was too thick. 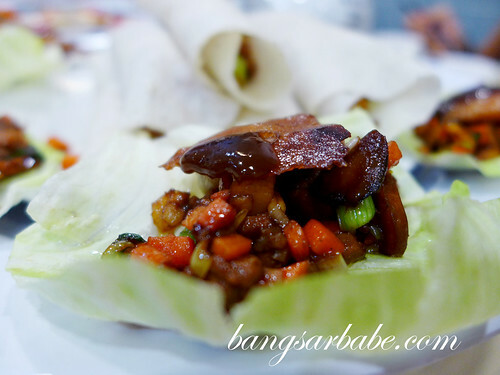 The stir-fried duck in lettuce tasted better and I liked the sweet crunch the lettuce gave to the meat. 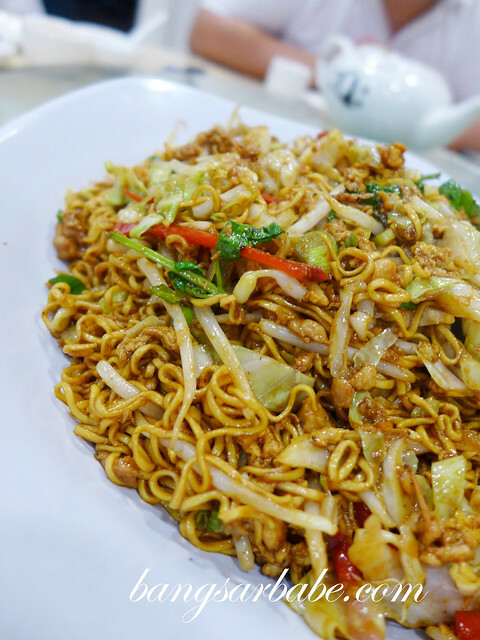 The fried noodles with chicken slivers tasted pretty good, as was the fried multi-grain rice with diced vegetables and pine nuts. 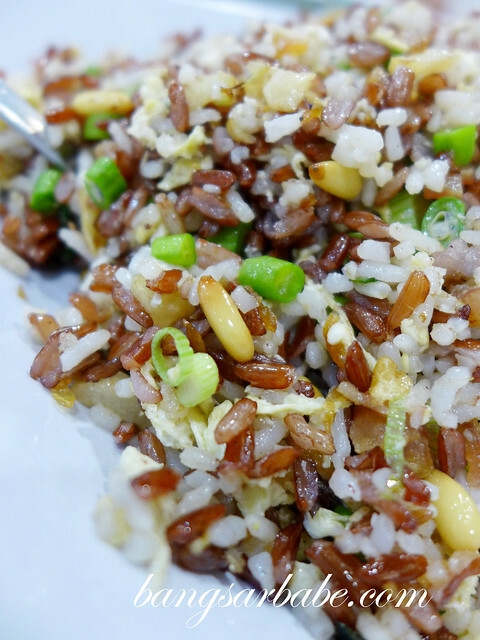 I liked how the rice had a good balance of textures and flavours, but thought it could do with more wok hei. Nonetheless, both were good carb options. 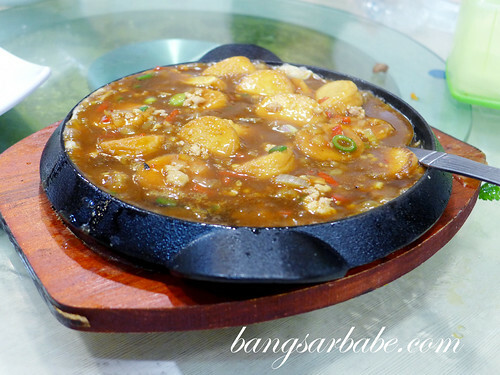 The sizzling tofu and choy poh egg were ordered as tummy fillers, and the former was fairly tasty. The same couldn’t be said about the egg as it was bland and rather uninteresting. 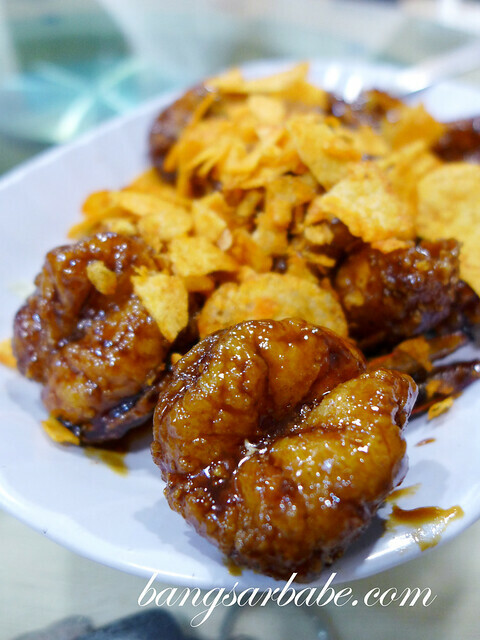 We also ordered the marmite prawns topped with corn flakes and found the prawns to be large and flavourful. According to a friend, the fried lotus roots with baby peas is a must order. And she was right. 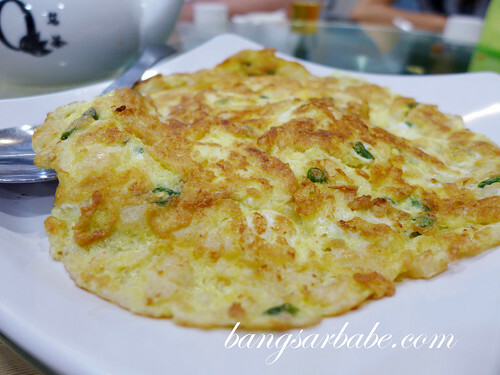 This was a tasty and crunchy alternative to the usual stir fried lettuce or spinach. 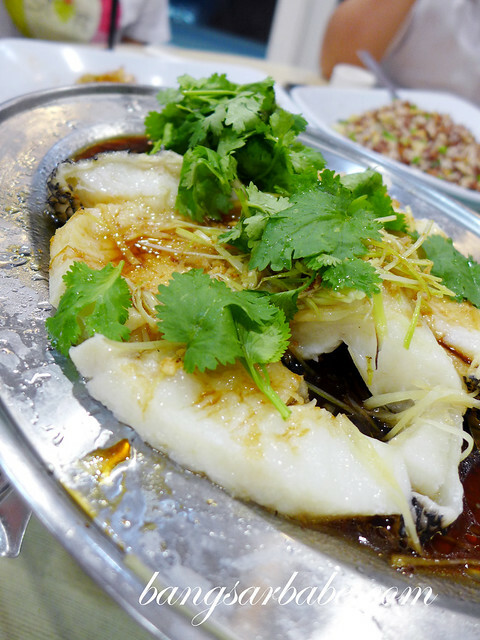 I rather enjoyed the steamed cod fish with ginger slivers and soy sauce. The fish was smooth and sweet in taste, with spicy accents from the ginger. That said, they could have gone easy on the sesame oil drizzle and the cod itself had plenty of natural oil. My favourite dish that night was the buttermilk squid, fried till crunchy perfection. 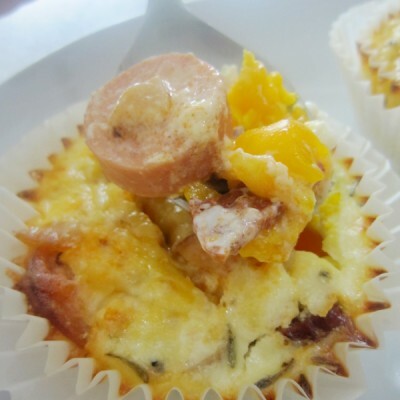 This was very addictive, especially those lacy egg and milk bits. Smelt terrific too! 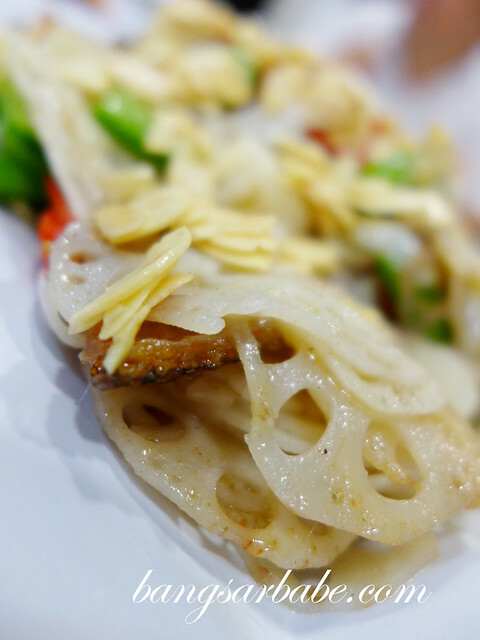 Skip the sang har noodles. This was a big disappointment as the gravy lacked seasoning and I didn’t like the texture of the noodles in general. Also, the prawns had little flavour, probably because it was kept in the freezer for too long. 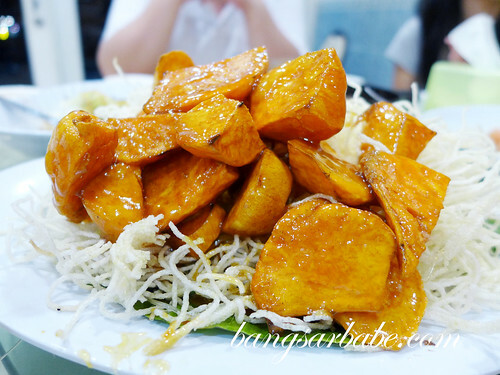 For dessert, we had the hot caramelised sweet potato cubes, dipped into iced water to make the exterior crunchy. This was fun to eat, but novelty aside, it was just alright. Dinner came up to about RM65 per person for the above. Considering what we ordered, I think it’s alright. I wouldn’t rush back for a meal, but I now know where to recommend when someone wants a halal Chinese restaurant. Verdict: Not everything tasted good, but overall, the food was decent. 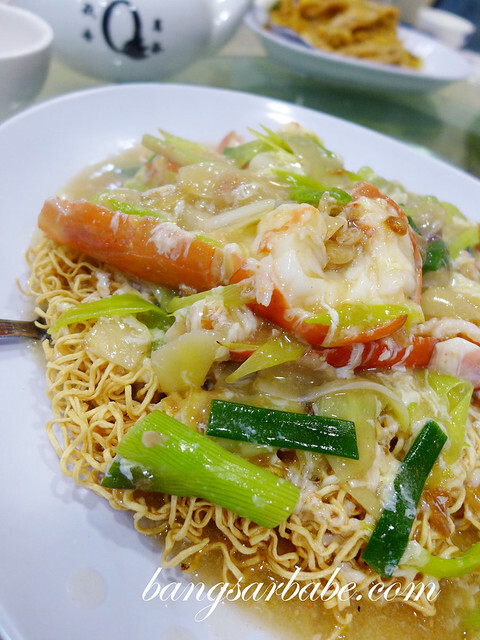 I like the look of the fried noodle, seem like fried with lots of wok hei, does it? Why did you say it is a halal restaurant? 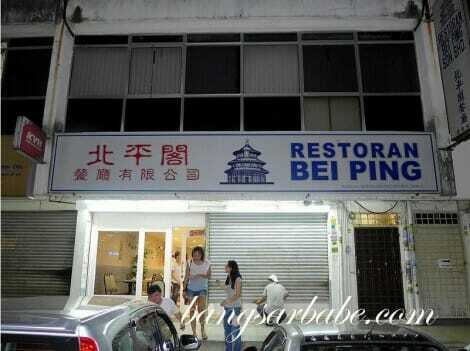 Is it JAKIM certified or they don’t serve pork so deemed as halal? I am a Muslim and I really enjoy Chinese cooking, to say the least.